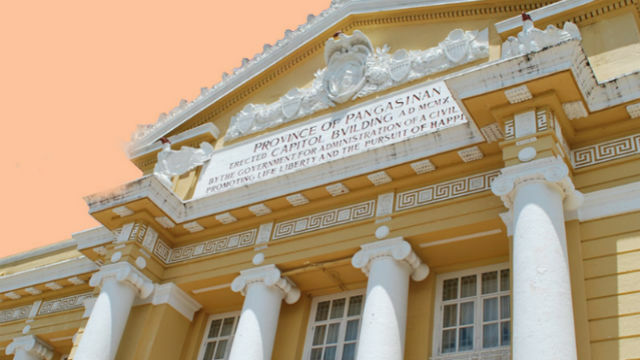 LINGAYEN, Pangasinan – The provincial government recently named winners in provincial eliminations who will compete in the regional competition of the 28thNational Statistics Month celebration. Sixth district Board Member, Chairman of the 28th NSM Provincial Steering Commitee, led the awarding of medals and cash prizes to the winners in four contests which include oratorical contest, essay writing, poster and slogan making, and statistics quiz. Recognizing the significance of statistics in the growth and development of the province, BM Bince urged the participants from various secondary and tertiary institutions in the province to promote awareness and appreciation of the value of statistics in their respective schools. “The provincial government led by Governor Amado I. Espino, III gives statistics prime value, particularly in strengthening the province’s development thrusts,” said Bince. Assisting BM Bince during the awarding rites held after the contests were Provincial Planning and Development Officer Benita Pizarro, Provincial Information Officer Orpheus Velasco and Engr. Reynaldo Mejica, President of League of Local Planning and Development Coordinators of the Philippines – Pangasinan Chapter. Provincial winners will advance to the regional level competition scheduled on October 12 at St. Louis College in La Union. Oratorical contest: (secondary) Jhazmyn Fallorina of Bautista National High School; and (tertiary) Mark Jerome D. Natino of Colegio San Jose de Alaminos. Essay writing contest: (secondary) Alxiah Kyla D. Cruz of East Central Integrated School; (tertiary) John Melvin M. Edejer of Kingfisher School of Business and Finance ; and (government employee) Evelyn L. Mendoza of Deped San Carlos Division. Poster and slogan making contest: (secondary) Kobe M. Perez of San Jacinto National High School; and (tertiary) Joe Alanzon B. Castillo of Panpacific University North Philippines. Statistics quiz: (secondary) Epson P. Muyalde, Jaygil E. Blanco and Allen Jeio P. Beltran of Dagupan City National High School; and (tertiary) Renzo V. Sison, Ronald Aragong and Joanalen Cacatian of Kingfisher School of Business and Finance. Earlier, provincial eliminations for jingle making and singing contest were won by Calasiao Comprehensive National High School (secondary), and PASS College of Alaminos City (tertiary). Pangasinan won the secondary level NSM jingle making and singing contest, and placed 2nd runner-up in the tertiary category during the regional finals held on October 5 during the NSM celebration regional opening ceremony held in La Union.